Is it time to retreat to your apocalypse bunker once and for all? Probably not. There’s plenty of reason to be concerned about the ozone layer, and the pollutants that degrade it (which I might add are also potent climate-warming greenhouse gases). But the factors driving the trend this study calls out are murky, and at least one outside expert is raising doubts about how meaningful that trend really is. 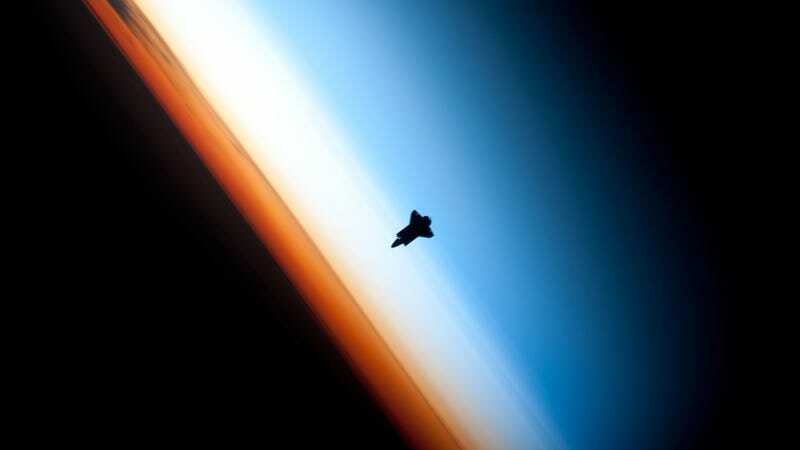 The study, published in the journal of Atmospheric Chemistry and Physics on Tuesday, compiled data from multiple satellite missions since 1985, and found evidence for a long-term depletion of ozone in the lower reaches of the stratosphere, between 60 degrees north and 60 degrees south. While ozone is increasing at these latitudes in the upper stratosphere (as expected following global adoption of the Montreal Protocol, which banned ozone-destroying chemicals), the authors say those increases haven’t been enough to counter the lower stratospheric trend. “We find that the negative ozone trend within the lower stratosphere between 1998 and 2016 is the main reason why a statistically significant recovery in total column ozone has remained elusive,” the authors write. To to be clear, this trend is separate from the enormous ozone hole over Antarctica—first identified by scientists in the 1970s—which has been slowly recovering in recent years. “The decreases in ozone are less than we saw at the poles before the Montreal Protocol was enacted, but UV radiation is more intense in these regions and more people live there,” she continued. That’s certainly true. But how concerned should we be about these declines? Susan Strahan, an atmospheric chemist who studies ozone at NASA’s Goddard Spaceflight Center, thinks the answer is not very much. As Strahan explained, ozone in the lower stratosphere fluctuates due to a wide range of factors, including meteorological ones. That makes it distinct from the upper stratosphere, where ozone concentrations are mainly controlled by the abundance of chlorinated, ozone-destroying chemicals. Earther has reached out to the study authors about these critiques, and we’ll update the post if and when we hear back. If the trend identified in the new study is real, long-term, and being driven by us, that’s cause for concern. But it’s still important to bear in mind these declines are small compared with the ozone depletion that’s occurred over Antarctica. And the authors note that total column ozone hasn’t changed at low latitudes since the late ‘90s, because declines in the stratosphere have been offset by an increase in ozone in the troposphere (likely due to pollution, so perhaps not much of a win there). “If indeed the signal is real and holds up to further analysis, it seems to be a puzzle,” Montzka continued. “It’s hard to understand it, and therefore hard to predict” what’ll happen in the future. But overall, this is a science puzzle, not a planetary emergency. Update 2/8/2017: William Ball, first author on the new study, responded to Earther’s request for comment defending the importance of the new dataset, acknowledging there are problems with regression models, and emphasizing that more work is needed to pinpoint causal factors. It is important to continually reanalyze and update our understanding of changes going on in our protective ozone layer, and regression analysis is one broadly recognized way to do this. We entirely agree that we do not have a physical explanation for the changes we have found in the lower stratosphere. But our study is a heads-up to the science community—and to society—that there is something occurring we do not understand, which could indeed be related to data uncertainties or the statistical analysis, but all things given is more likely to be an unexplained atmospheric evolution. One of the first tasks of the science community will be to try to reproduce this result and confirm or refute it. But it is also to understand if this is a temporary decrease, or if it could be sustained in the future, and additionally why our most powerful tools for assessing the changes—climate models—do not agree during the period we analysed.